Project Runway host Heidi Klum, 44, and her Tokyo Hotel guitarist boyfriend Tom Kaulitz, 28, are both having the time of their lives. Tom can’t believe he’s actually dating the German model he drooled over as a teen, and Heidi is reliving her youth by dating a hot young German rockstar who can’t keep his hands off her. They’re both totally smitten and having a perfect summer. Heidi’s children seem to like Tom – they all went to Disneyland last week- and Tom has no problem hanging with the kids. Above, Tom came along with Heidi when she picked up her daughter at the summer day camp bus stop. 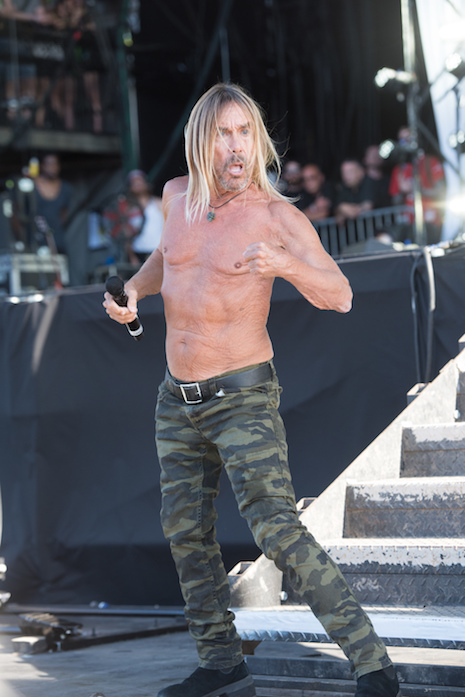 DOES IGGY POP LOOK LIKE JENNIFER ANISTON’S EVIL OLDER BROTHER?